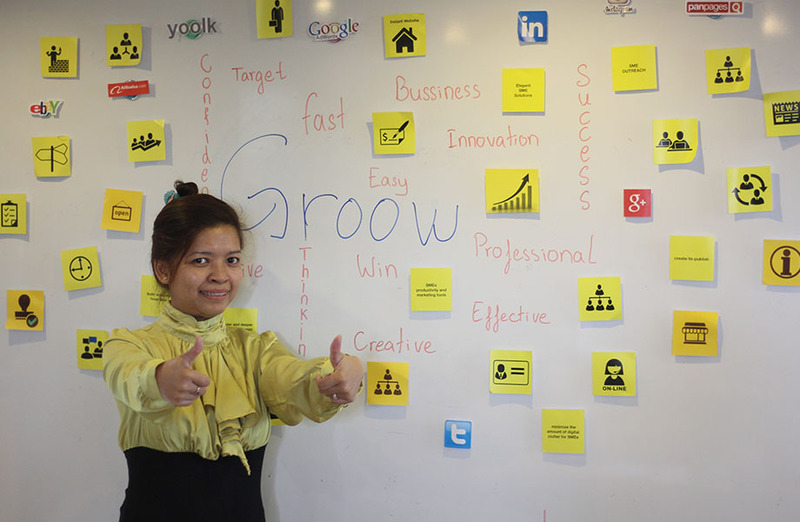 At Groow.IO we believe in fostering business and technological creativity among our team members and passing on the benefits of what we learn to millions of business owners and managers around the globe. We genuinely care about helping businesses worldwide which is why we have partners in 9 countries from Asia to Africa. We are not a copycat company just trying to break the “big markets”. We offer more than a self service website generator. Groow.io starts with a professional business website but leads to more ways for small business to make the most of the Internet. We shine a light on previously confusing tasks, e.g. how to quickly announce to your customers on many social networks, how to buy ads on Google etc. We run lean and therefore can offer good value and true human support. Many of our clients are traditional businesses who relied on advertising in traditional media before the internet took over, but then they found it difficult to grasp the internet’s potential. We are focused on serving traditional businesses like you, in language you understand, with systems you will find easy to use. Finally, you can get online and use the web effectively to Groow your business.